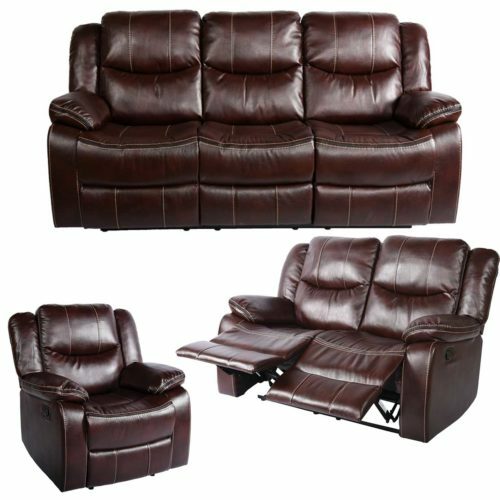 The AL001 Recliner Lounge Suite is a gorgeously styled piece with nailhead accents and rich fabric upholstery sure to please any home decor. 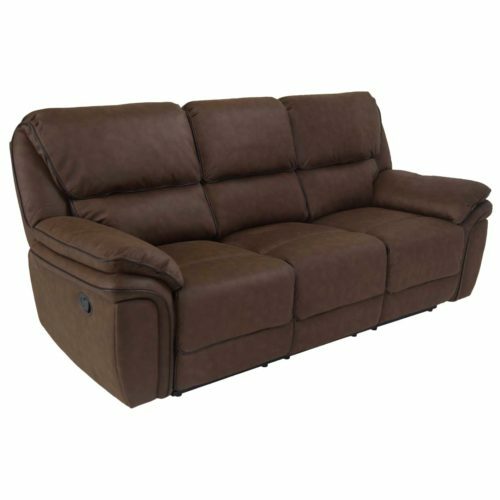 The generously padded arms, seat, and back make it the favourite furnishing to sink in and relax without compromising the look and feel of your contemporary living room. 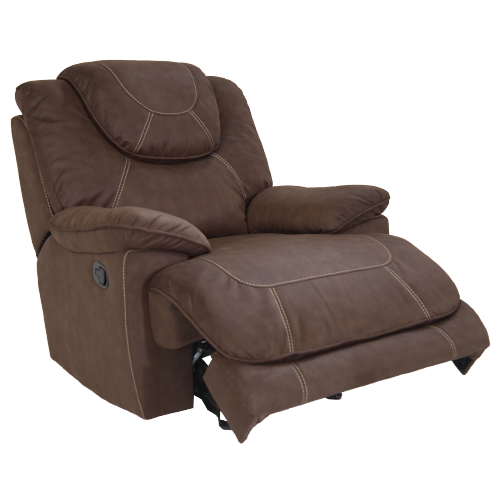 The individually wrapped, drop-in pocketed coils prevent sagging, while overstuffed backs and arms cradle you in comfort and offer superior lumbar support. 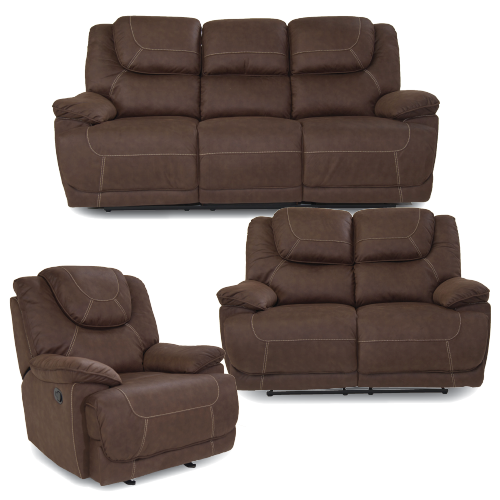 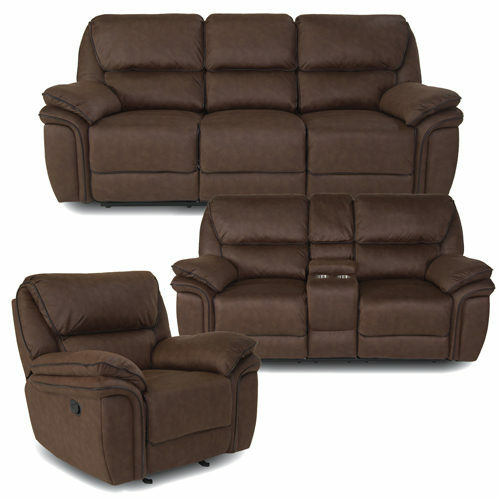 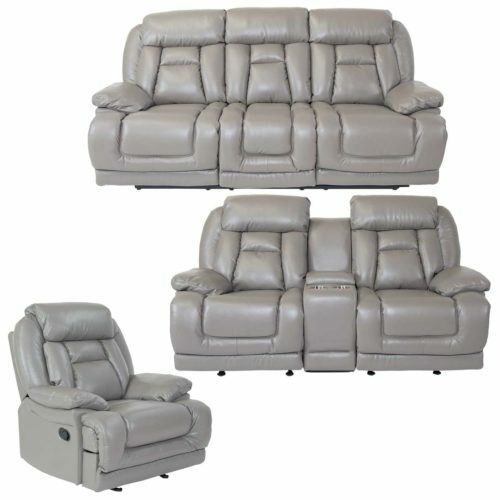 The soft, durable, fabric cover in mocha brown feels and looks great, and the seat even features full recline. 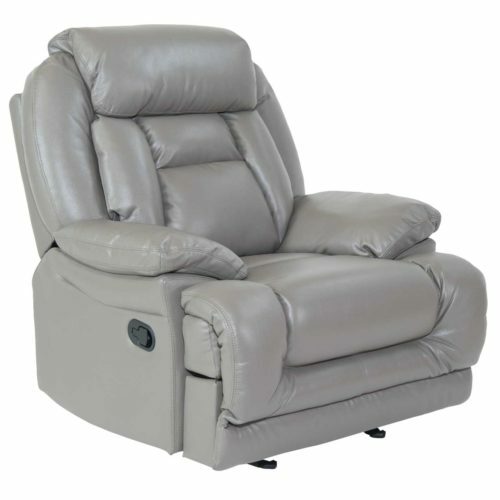 The AL001 Recliner Lounge Suite features a smooth, quiet gliding mechanism. 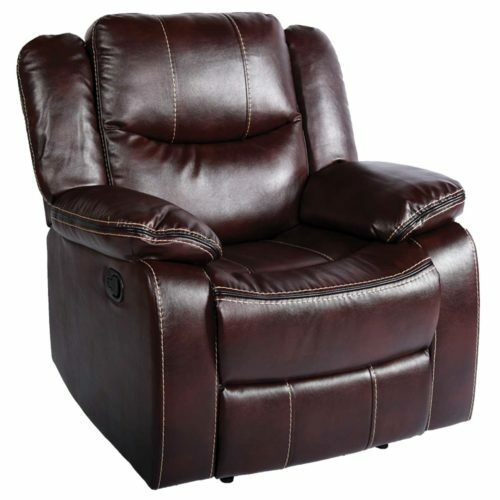 Take home this beautiful recliner today.